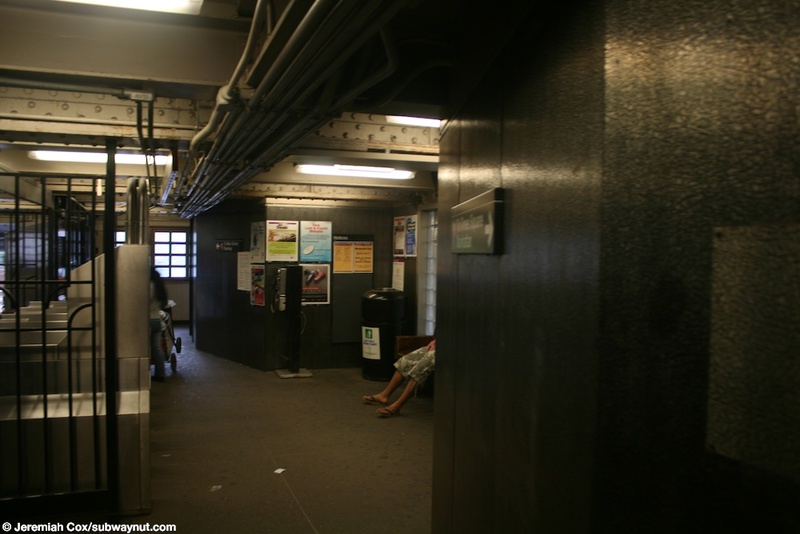 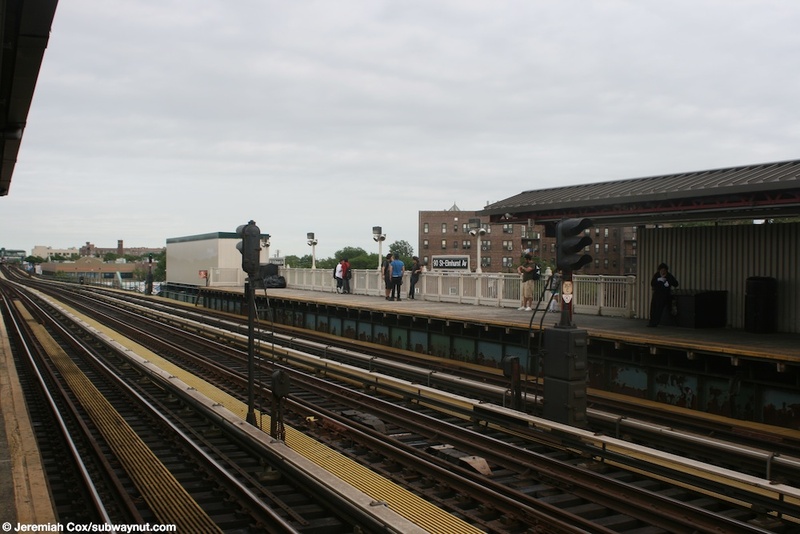 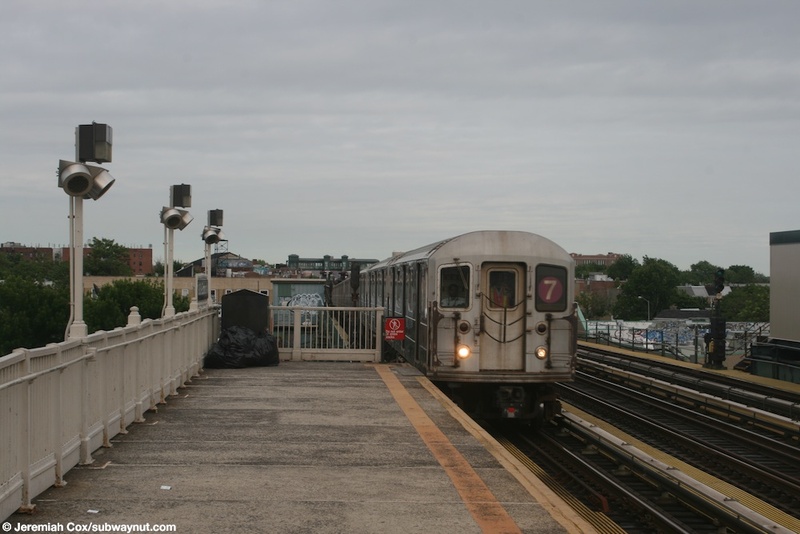 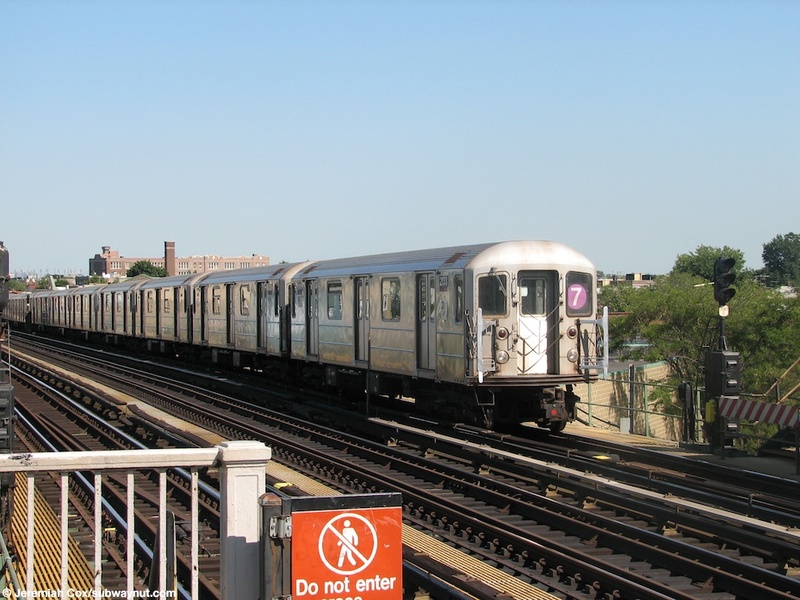 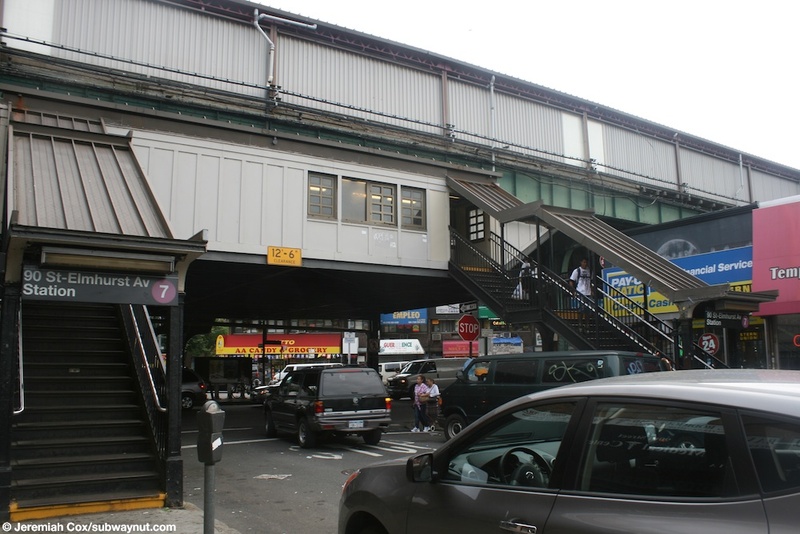 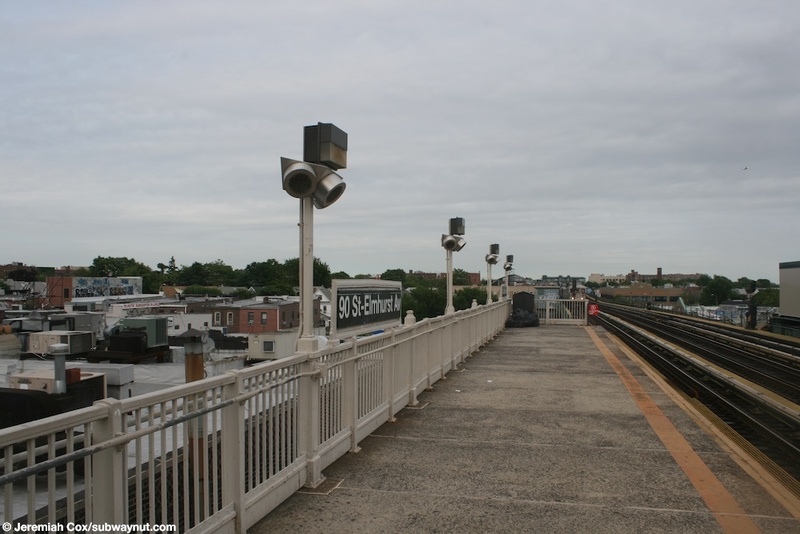 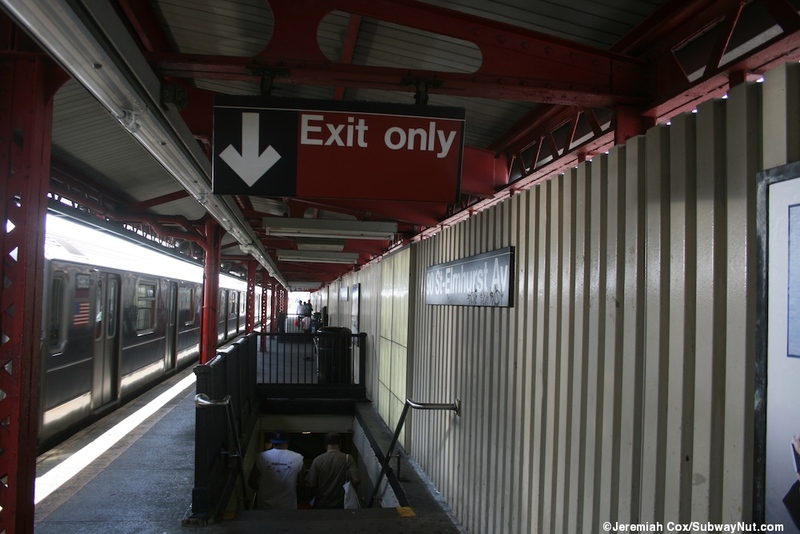 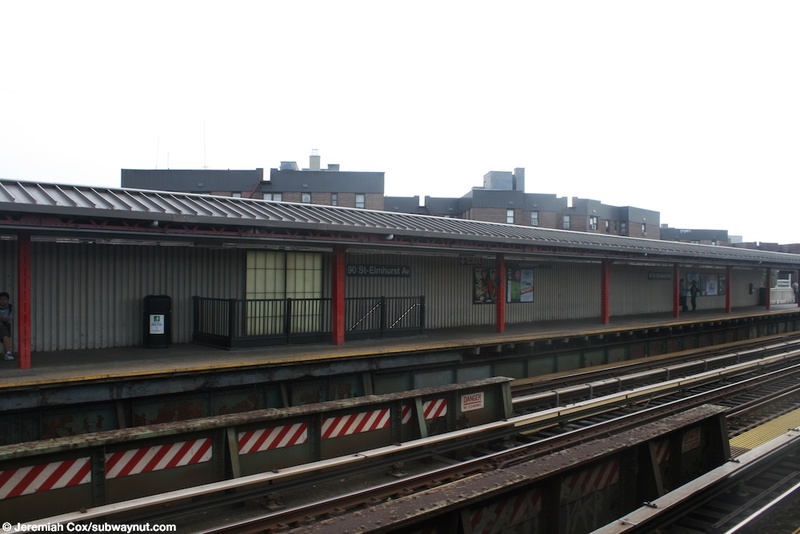 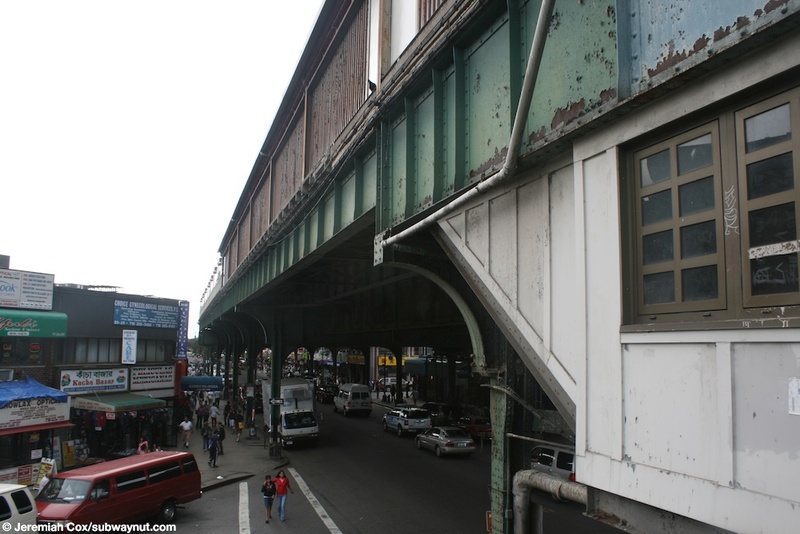 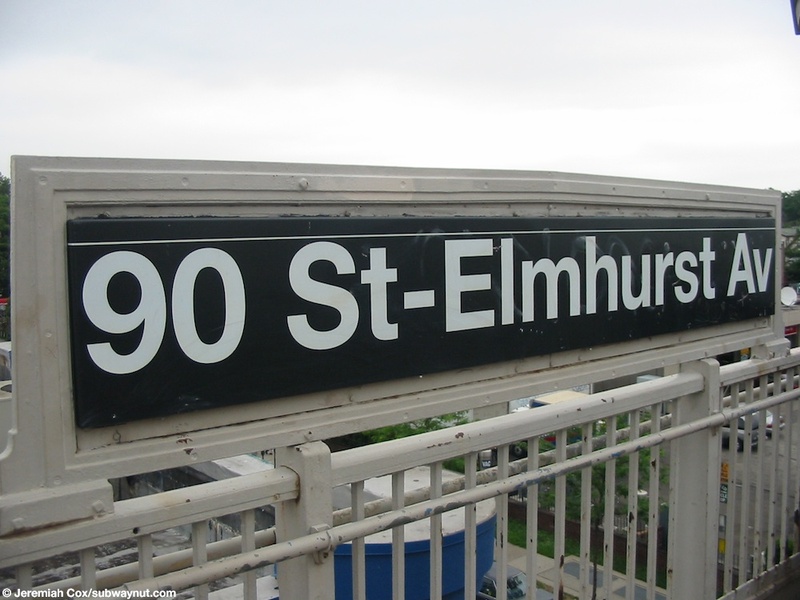 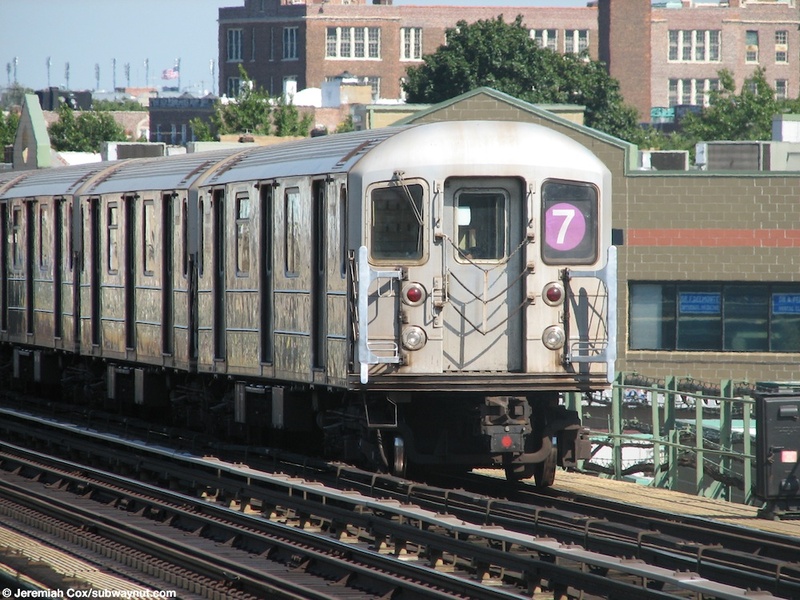 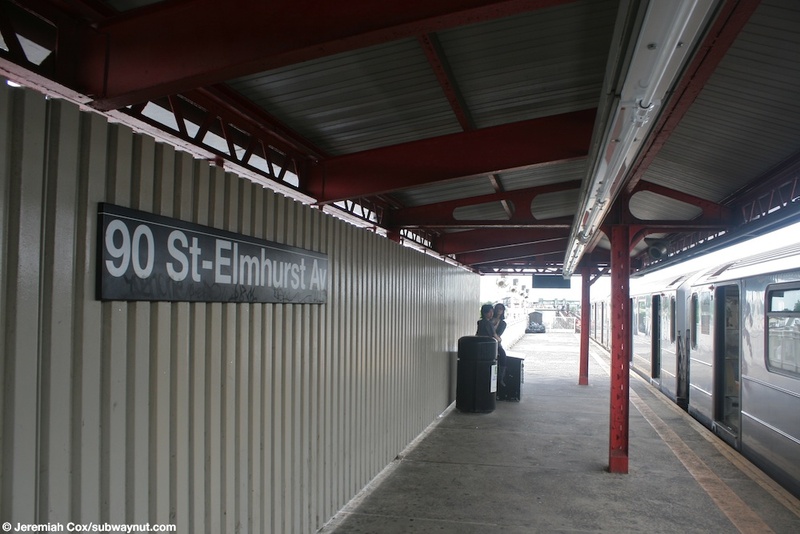 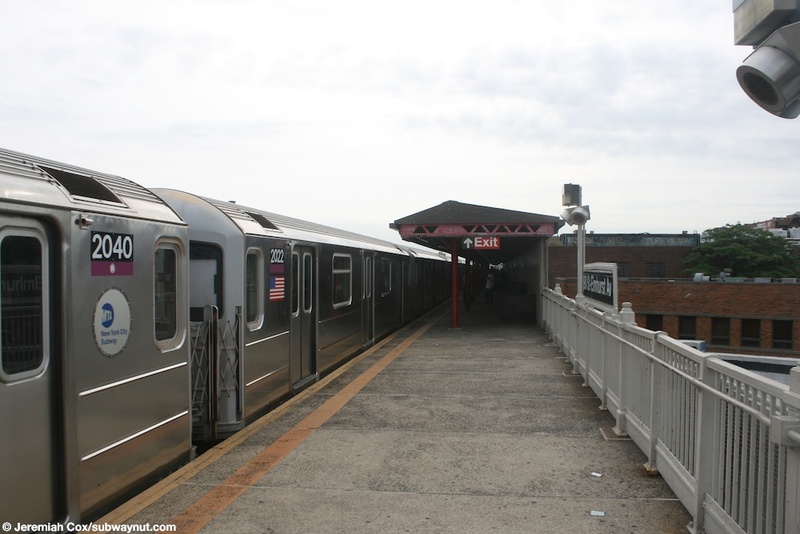 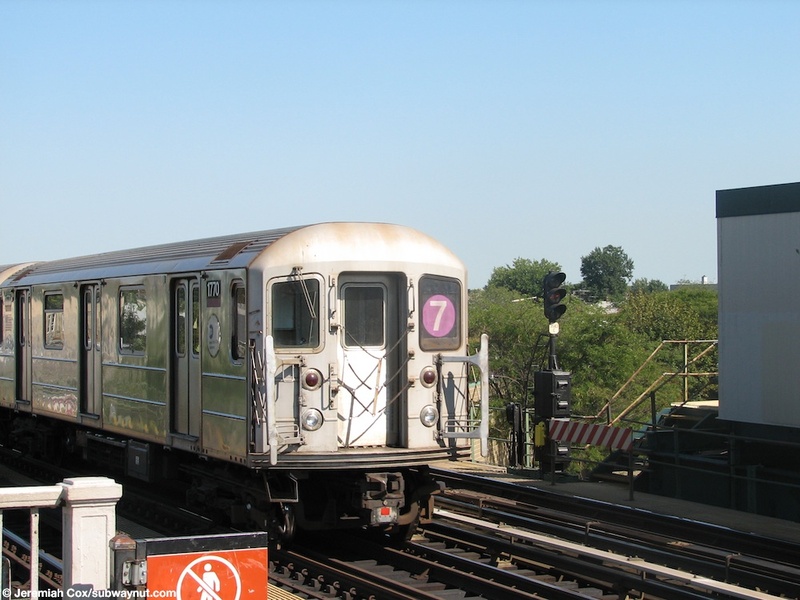 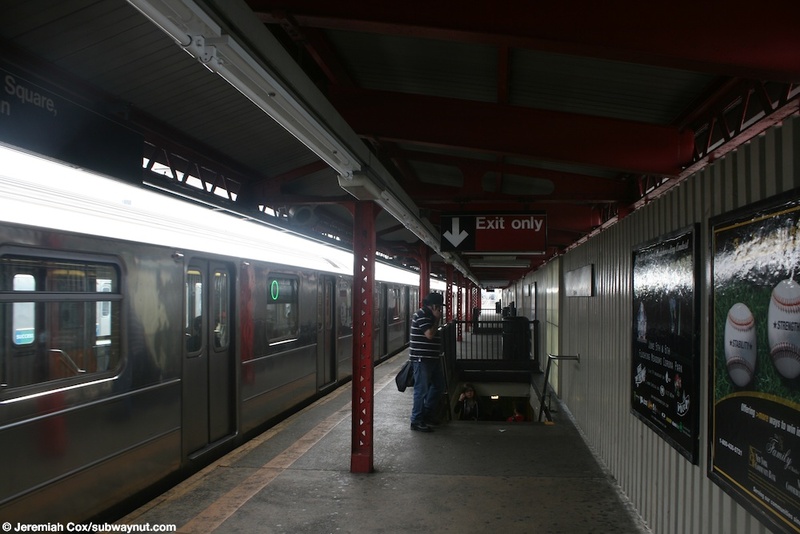 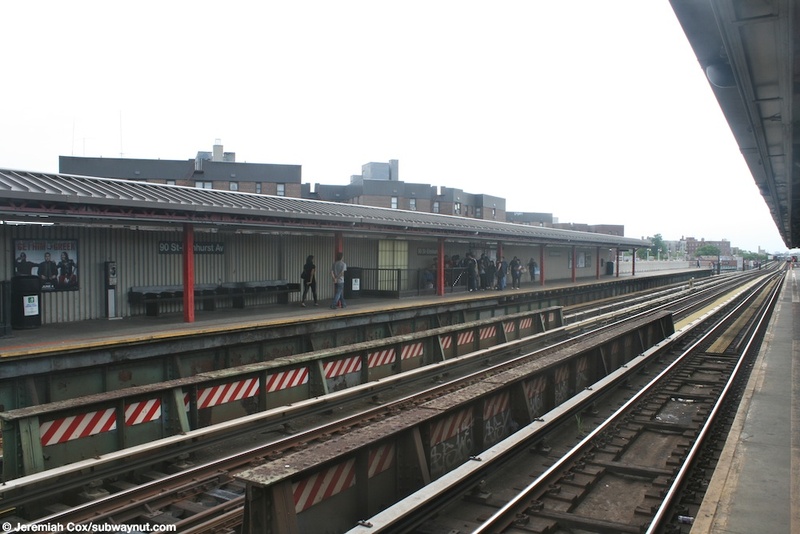 90 Street-Elmhurst Av is a 7 local station located above Roosevelt Avenue. 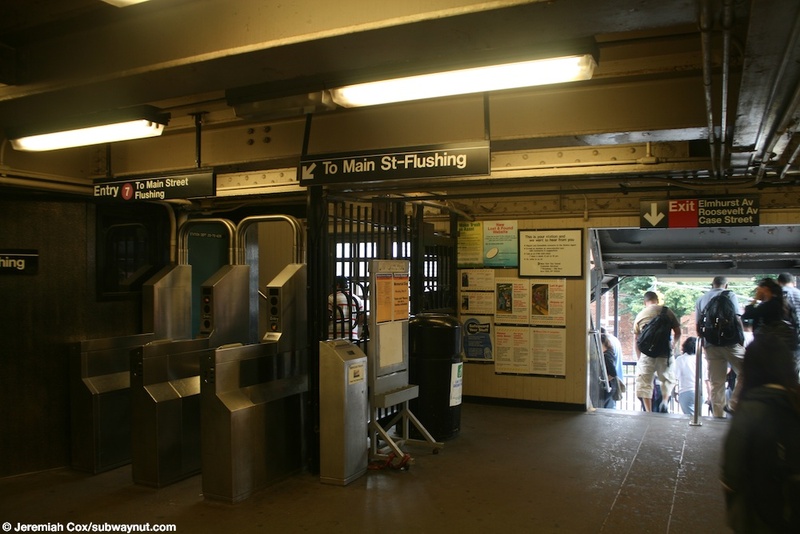 The stop has the standard design of two side platforms that are canopied and windscreened in their midsections, where the 2 staircases are down from each platform to the station house beneath the tracks, but are left to be exposed to the elements at their ends. 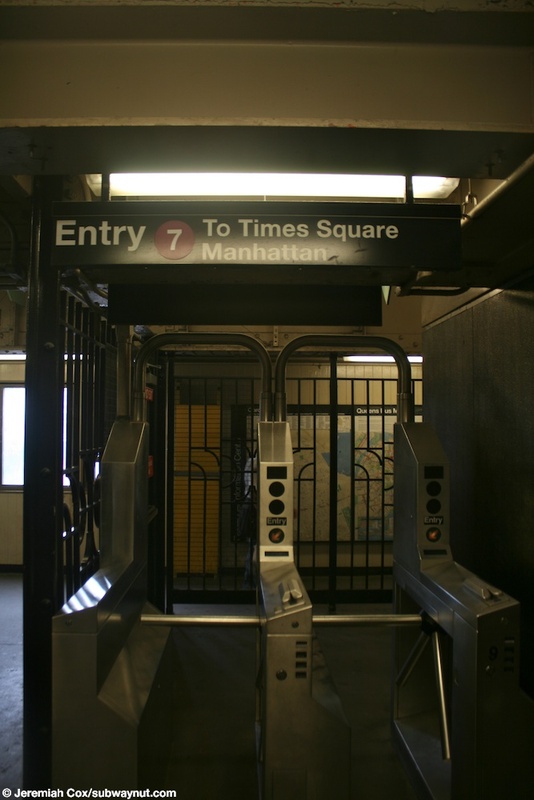 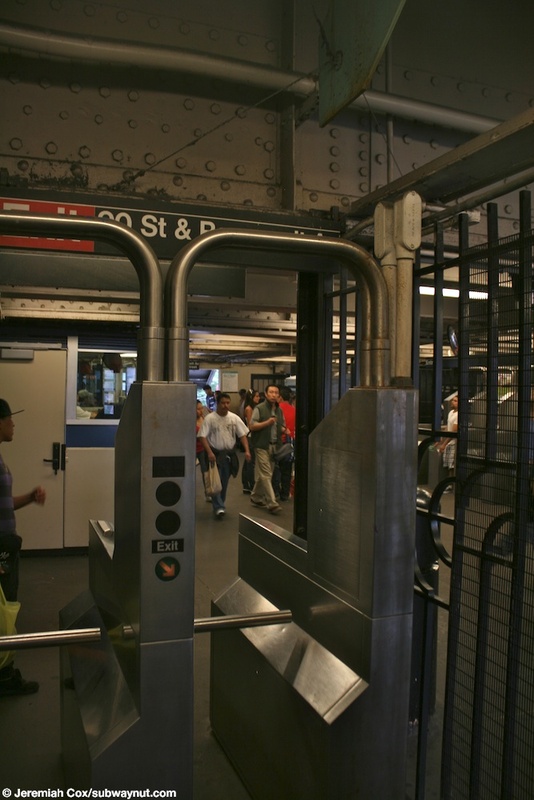 The north stairs down from each platform do not connect to each other within fare control, each leads down to its own bank of turnstiles and are signed Exit Only. 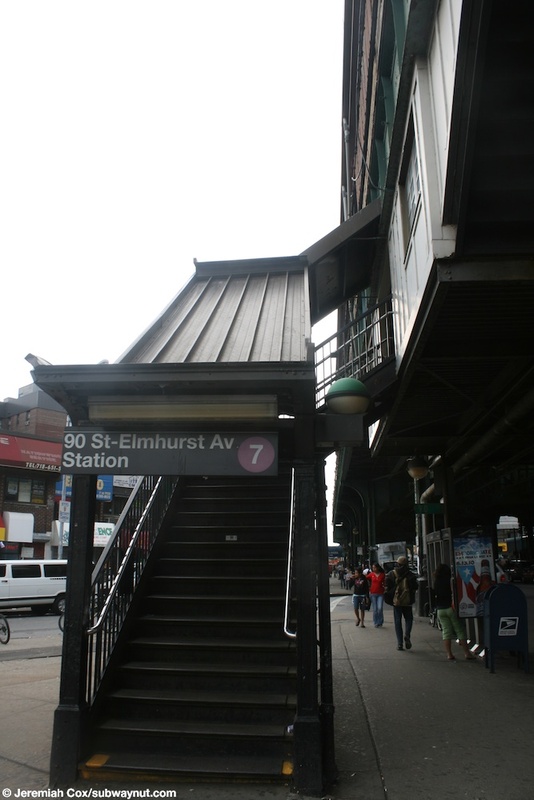 The south stairs do connect providing a free crossunder to their bank of turnstiles, exits from the station lead to street stairs on the NE and NW corners of 90 Street and Roosevelt Avenue, along with a more unusual one that curves away from the station house to be parallel to the station and leads to the small triangle formed by Elmhurst Av, Case St and Roosevelt Av, since the grid shifts at the station.